I don't get a lot of Goth submissions so I'm always curious and intrigued when I do. Autumn Tears have three CDs to date, all part of the Love Poems for Dying Children trilogy. This sampler draws on tracks from all three CDs and is intended as an introduction to the band's music. Autumn Tears was originally a duo of Ted on piano, keyboards, and vocals, and Erika on keyboards and vocals. Recently they were joined by Jennifer LeeAnna, also on keyboards and vocals. The band's promo sheet states that their influences include ancient chants, classical emotions, and contemporary artists like Dead Can Dance, Stoa, and Enya. A good concise description. The music is darkly symphonic with a majestic orchestral feel. The vocals are quite beautiful and as I was chilling out under the headphones I found them quite uplifting until further reading revealed that the music is "designed to evoke intense emotions of sadness and loneliness in the listener". Well... you can tell I wasn't tuning in too closely to the lyrics and now I'm glad I didn't because I enjoyed the positive sensation the music instilled and wasn't in the mood for either sadness or loneliness. The piano melodies, though not particularly complex, are intense and full of passion, and reminded me a bit of a far less orchestrated version of Devil Doll. Of course, with analogies like Enya you can imagine that Autumn Tears are vocally 360 degrees from Devil Doll (except the song "Black Heaven"... very Mr. Doctor!). Indeed, Enya is often a good comparison and even musically I often hear a dark Celtic feel to the music. And with such beautiful vocals I found that the tracks taken from the band's third album were the most enjoyable, benefitting from the harmonies of both Erika and Jennifer LeeAnna. In summary, Autumn Tears' style is fairly similar from track to track. Not a lot of variety, but fans of darkly intense symphonic keyboard music with the emphasis on the "song" may well find something they like here. For more information you can visit the Dark Symphonies web site at: http://www.darksymphonies.com/. Contact via snail mail c/o Dark Symphonies; PO Box 547; Billerica, MA 01821. 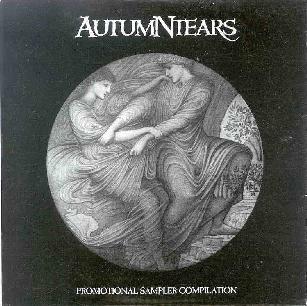 Hear sound samples at the Autumn Tears Mp3.com web site: http://artists.mp3s.com/artists/127/autumn_tears.html.